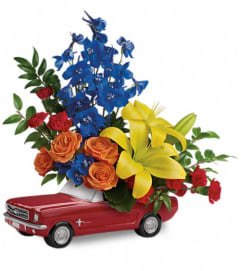 Speed this fun gift to Dad on his big day. 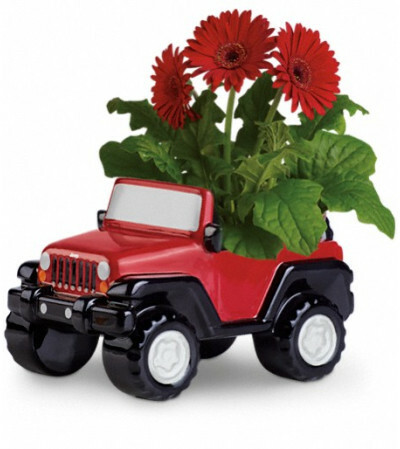 He'll get a real kick out of the bright red gerbera plant delivered in a ceramic replica of the classic Jeep® Wrangler. 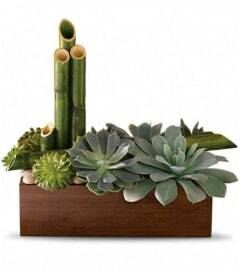 Look for this sporty keepsake to be parked on his desk for years to come. 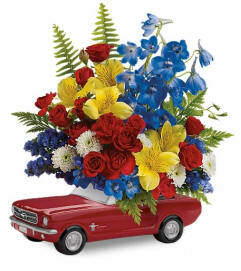 The arrangement is a red gerbera plant in a 4" pot. Delivered in a ceramic replica of the Jeep® Wrangler.